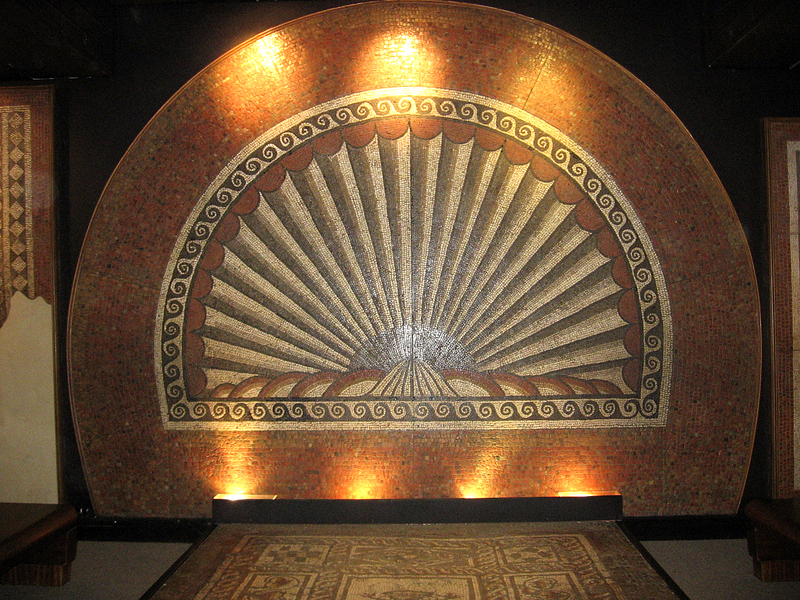 When I took a day trip to the town of St. Albans, the site of Verulamium just twenty miles north of London, I discovered some of the best mosaics in Britain at the Verulamium Museum. I was also surprised to find the remains of the only Roman theatre still visible in Britain. 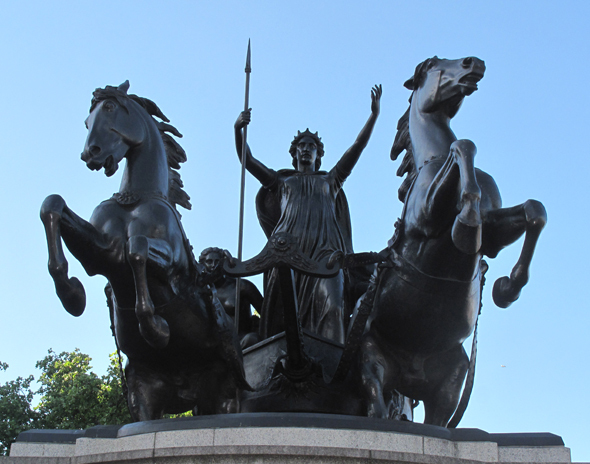 Just ten years into its incarnation as Roman Britain’s first town, Verulamium was ravaged by the rampaging tribes of Boudica in AD 60/61. With no legions nearby to protect it, the town was devastated. 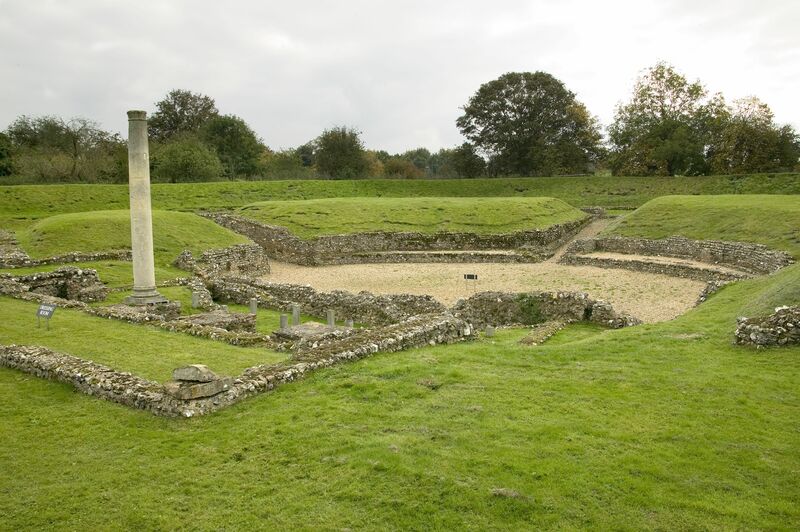 But once the rebelling Britons were subdued, it wasn’t long before rebuilding began and Verulamium became one of the province’s wealthiest towns. 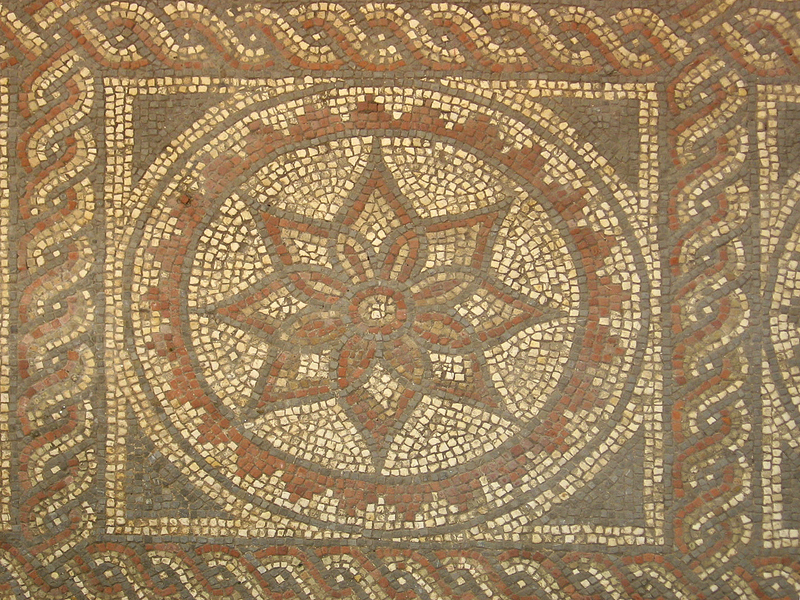 The mosaics here are distinctive and well preserved with colourful floral and geometric designs. 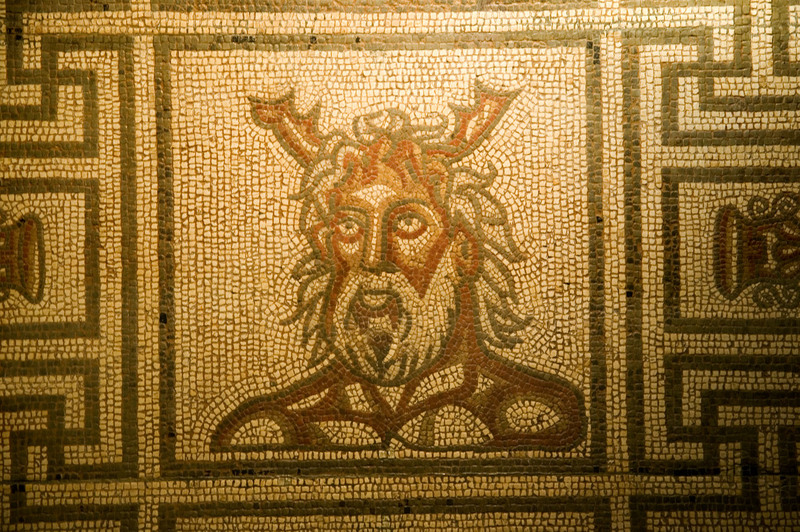 Over forty mosaics dating from AD 150-300 have been found in the villas and town houses unearthed in the area. St. Albans theatre, built in AD 140, is unlike most Roman theatres with its round orchestra. It was more like a small amphitheatre and may have been used for gladiatorial games and wild beast shows as well as for dramas and pantomimes. St. Alban was Britain’s first Christian martyr. A Roman citizen, he was beheaded in the late third century AD in Verulamium. The site of his execution became a pilgrimage destination and a Saxon monastery was built in AD 793. 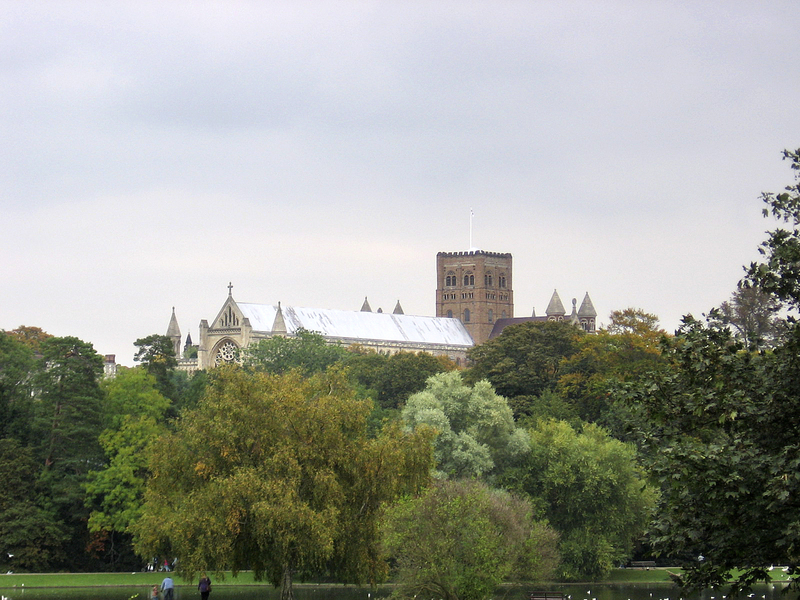 The present day abbey is a 19th century restoration of a Norman abbey built in AD 1077. Beautiful mosaics. It’s a wonder they survived so well.